Small-flowered Willow-herb is native to Britain, Europe, North Africa, America and from West Asia to India. It bears soft-textured stalkless leaves and tiny pink to purple flowers followed by seed capsules containing tiny black seeds. Needs moist but well-drained soil in partial shade or full sun. Can be treated as an annual in temperate regions. Seeds can be sown in spring and summer. The whole herb - all the aboveground parts. 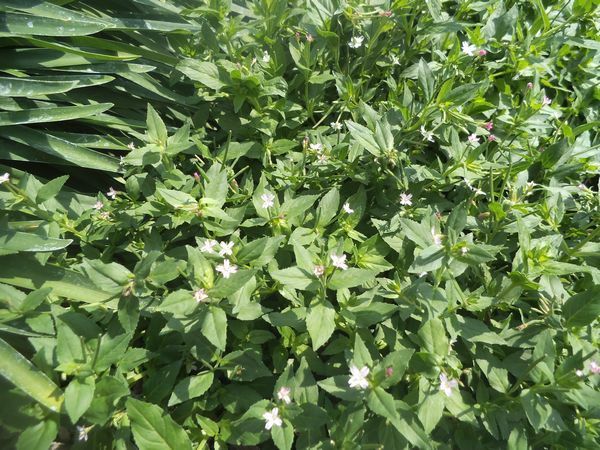 Small-flowered Willow-herb contains high levels of beta sitosterol and is a specific for treating benign prostatic hyperplasia (BPH) or enlarged prostate, and bladder and kidney disorders. It has anti-bacterial, anti-inflammatory and anti-oxidant properties. 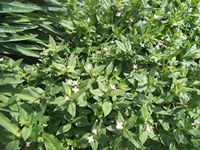 Topically it can be used as a soothing, cleansing and healing agent to treat minor burns, skin rashes, ulcers and other skin irritations. The information contained within this website is for educational purposes only. This site merely recounts the traditional uses of specific plants as recorded through history. Always seek advice from a medical practitioner. Copyright 2004 - 2019 © Mountain Herb Estate. All rights reserved.